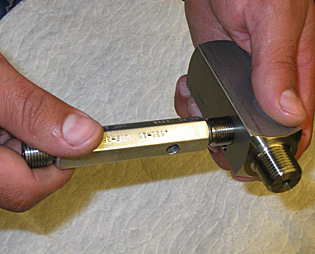 Rochester Manufacturing takes pride in providing accurate and efficient services and results for your plastic and metal precision machining needs. Our highly-trained staff of 17 employees and our quality inspection systems are two important reasons why some clients have continued to do business with us for more than 30 years. accept a difficult job we will keep at it until we succeed. All the materials we use for our customers’ parts come from ISO accredited vendors. We maintain traceability of all materials we use and guarantee that the product we provide is made from the material specified. Short runs of less than 100 parts are common for us. As a result, our machines may be set up as often as three or four times a day. To achieve these changeovers, we need a highly skilled workforce. 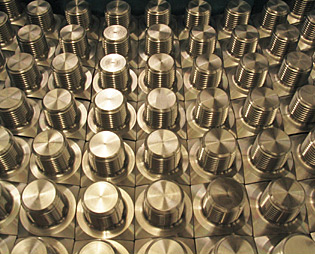 We understand the importance of production schedules and do our best to provide your parts on time. Our office staff are the glue that holds Rochester Manufacturing together. They provide excellent customer service through all aspects of production including efficient scheduling and follow-up. If circumstances arise that cause us to miss an agreed delivery date, we will call you in advance and do what we can to keep you going. We guarantee that our parts will meet your drawing specifications. Our full-time quality manager reports directly to our company president. We are happy to email a copy of our quality manual upon request. Rochester Manufacturing is ISO 9001 compliant and a member of the National Tooling and Machining Association.